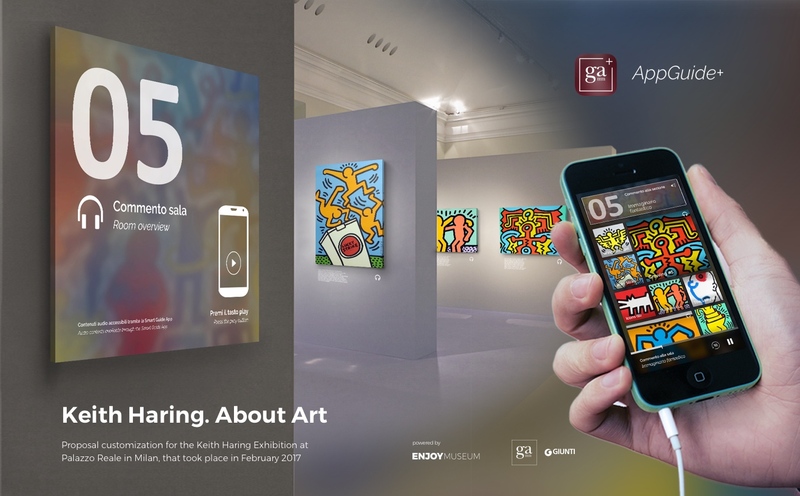 AppGuide+ is the new app for exhibitions and museums promoted by Giunti Arte Mostre Musei. 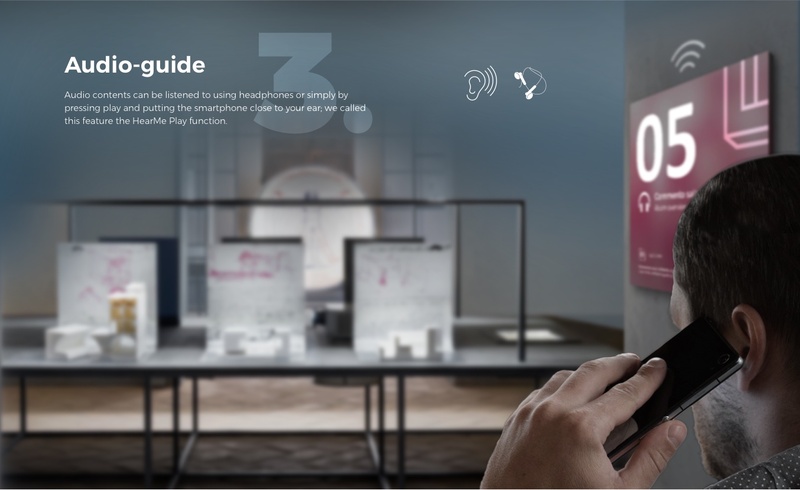 It serves as an augmented audioguide and enables a rich set of new experiences. 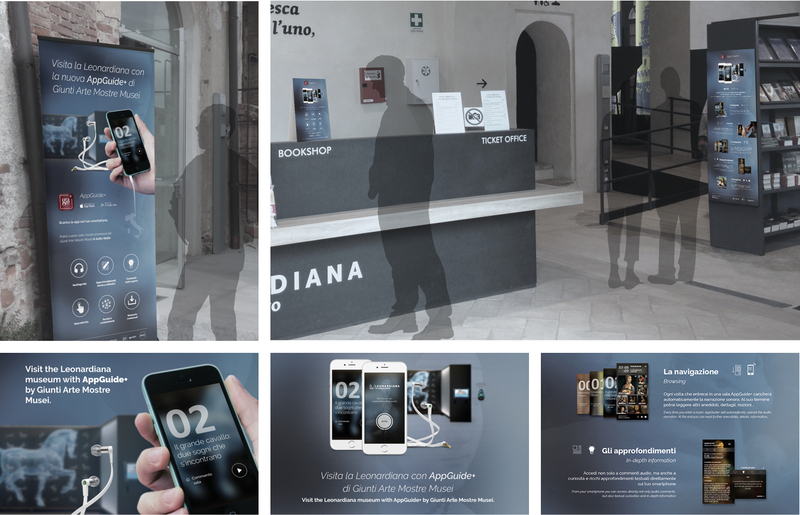 This project is the culmination of my activity as Head of Design and User Experience for Enjoymuseum. It puts together all the previous work done during the research and experimentation phases. 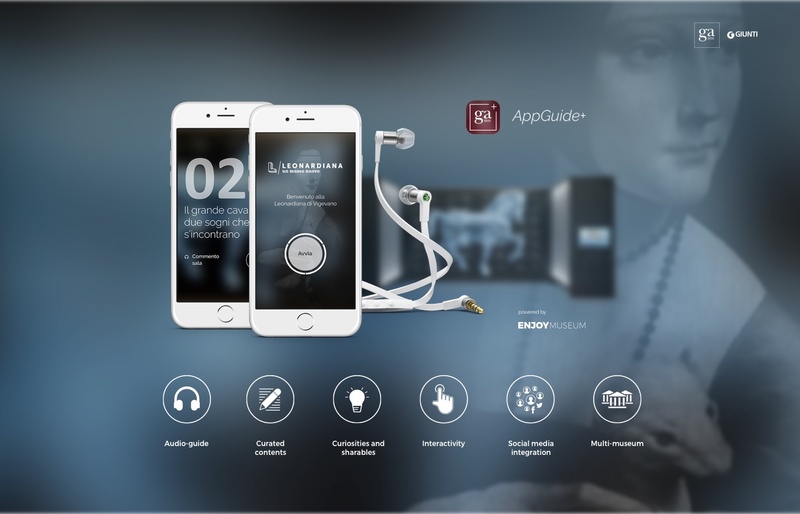 The first setting for AppGuide+ was Leonardiana in Vigevano: one of the most complete museum about Leonardo da Vinci’s life and works. 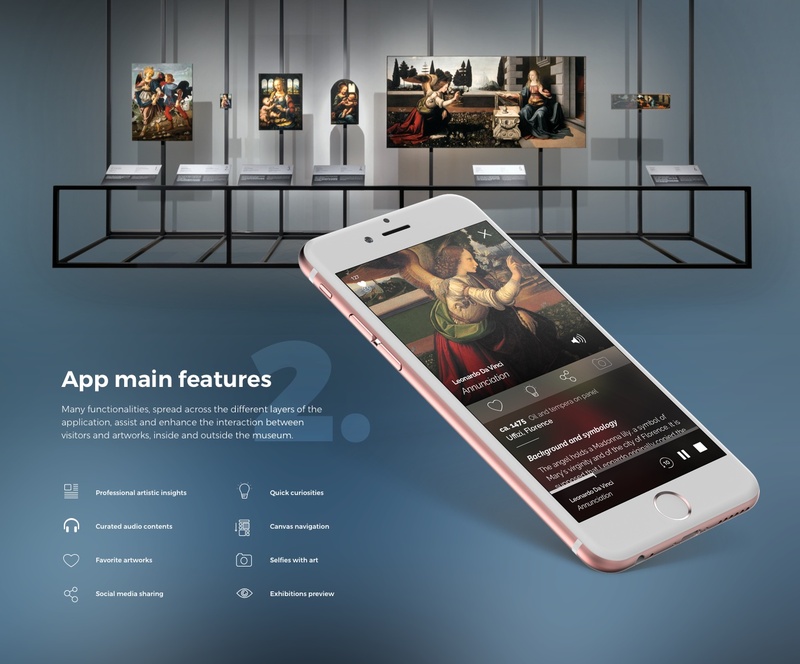 We took the first Enoymuseum app prototype and redesigned it from the ground up to serve all the different exhibitions of Giunti Arte Mostre Musei. 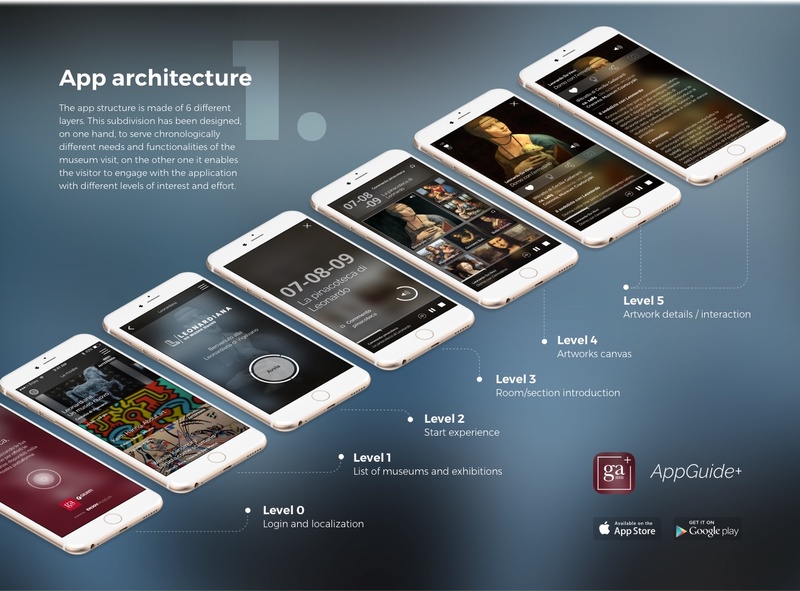 I also designed all the other elements complementing the AppGuide+ experience: such as vertical graphics, audioguide signage, informational and promotional material. The UX/UI design pivots around three core objectives: 1. 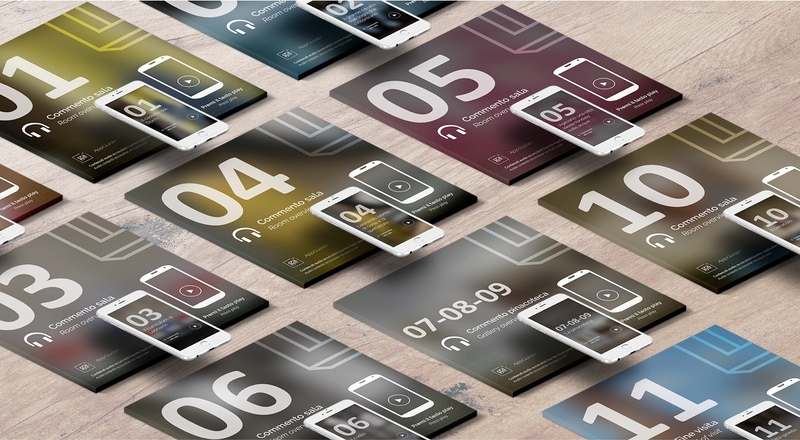 Create continuity between physical and digital environment; 2. Expand the museum experience in time and space; 3. Meet the different interests and the needs of different type of visitors. To do so, we adopted several solutions : 1. Color neutral UI elements and a modular background system that matches rooms and artworks colors. 2. Previews and memories that let visitors engage with the exhibition before arriving at the museum and after having experienced it. 3. 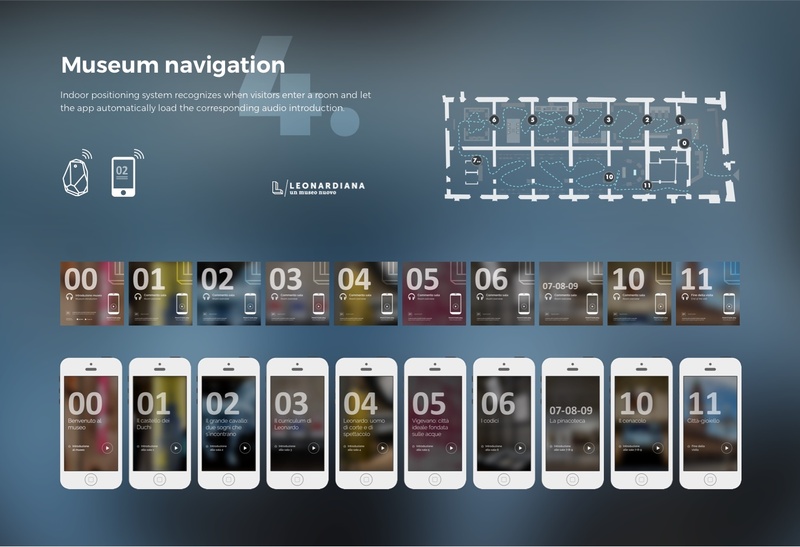 A layered navigation focused primarily on audio contents, let both the more distracted and the more interested users easily find what they’re looking for. The first installation of the system was done in Vigevano at Leonardiana, the most complete museum about Leonardo da Vinci’s life and works. The space, designed by Migliore + Servetto Architects, presents a regular sequence of rooms and sections. When visitors enter each section, Appguide+ automatically loads the corresponding Room Overview (location based technology). Vertical graphics introduce each room and confirm, visually, that what comes up on the display is exactly the right content.